It’s odd to think that the NTT IndyCar Series community was once wary of the 2.3-mile natural road course in Birmingham, AL. Many believed that its proximity to Talladega Superspeedway – the two tracks are just 40 miles apart – meant the area was “stock-car country”. Some also said Barber Motorsports Park’s 17-turn layout, originally designed for motorcycle racing, would be too narrow to put on good IndyCar races. Yet over its decade visiting the track, IndyCar has seen very solid crowd numbers – despite highly variable weather conditions – and the majority of the races have been highly entertaining. 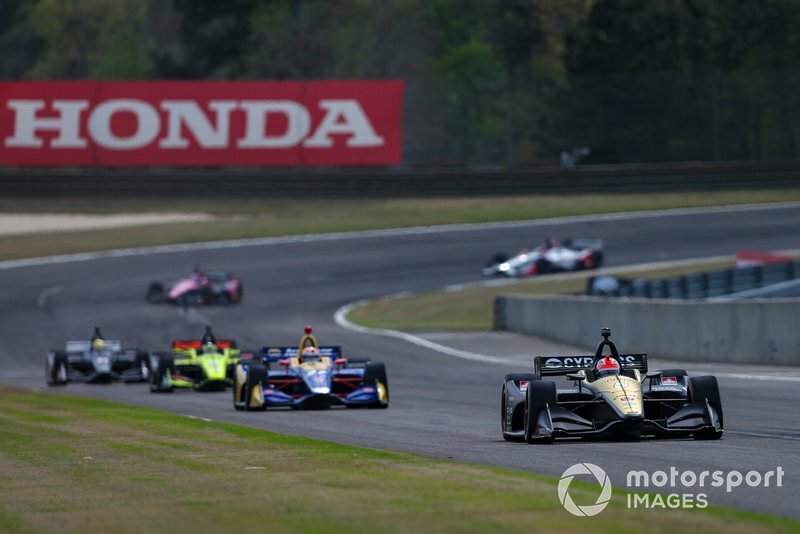 Last weekend’s Honda Indy GP of Alabama was no exception, and at the heart of the action throughout the weekend were Arrow Schmidt Peterson Motorsports drivers James Hinchcliffe and Marcus Ericsson, as the team coped well with some truly peculiar circumstances that arose for the IndyCar teams. 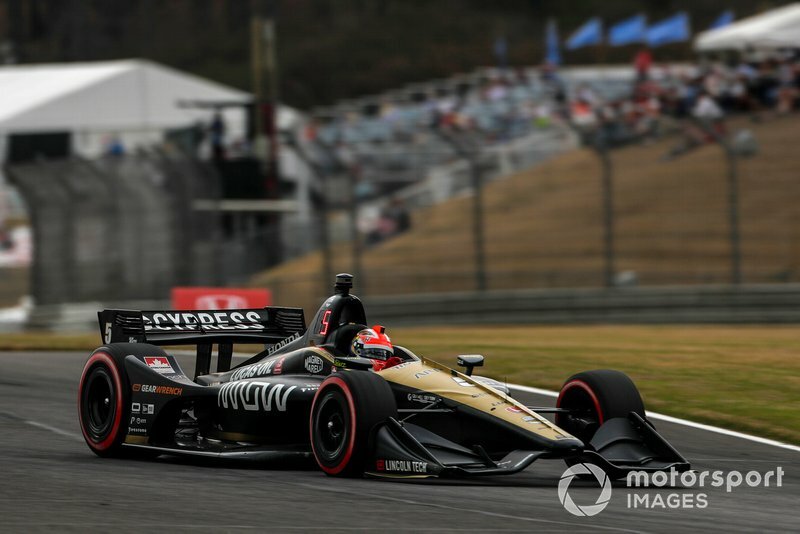 James Hinchcliffe, Arrow Schmidt Peterson Motorsports Honda, Barber Motorsports Park, Birmingham, AL. Firestone inadvertently threw everyone a curveball on Friday afternoon, in second practice. This is the session in which each driver is granted one set of alternate compound tires to try in preparation for the following day’s qualifying shootout when the softer rubber will become essential. 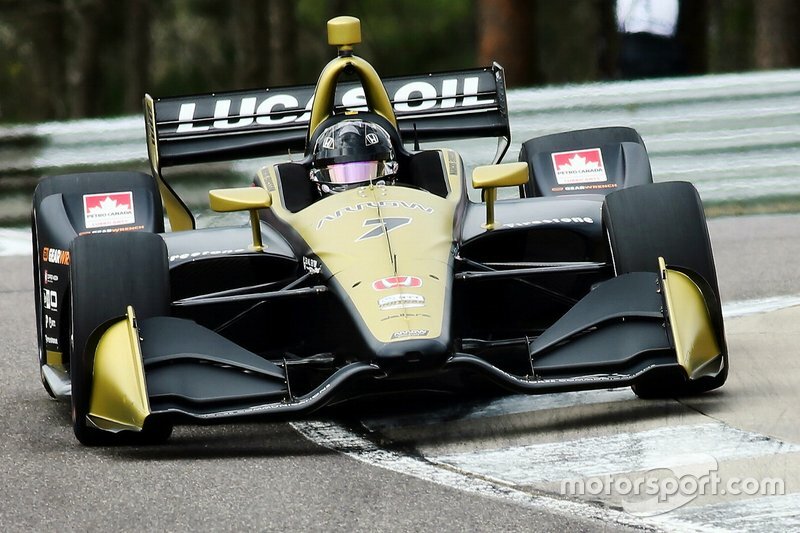 However, because last year’s HIGPA had seen such atrociously wet conditions (in which Arrow SPM’s Hinchcliffe and Robert Wickens finished third and fourth, incidentally) that a whole batch of red-sidewalled alternate tires went unused, and it was this batch which Firestone had brought to the track for use in second practice. 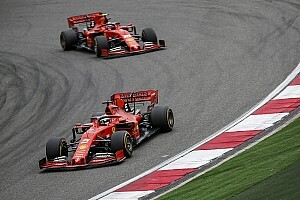 The problem was, something in the intervening year appeared to have changed the nature of the compound and it was no longer compatible with the ‘regular’ setup parameters established by the teams. Further confusing the issue was that some tire compounds are not compatible with others, and the rubber on the track from the support race series at Barber last weekend was a blend of Pirelli, Yokohama, BF Goodrich and Hankook. How much of the chronic understeer that plagued so many drivers was down to aged tires, how much down to track rubber? No one was quite sure – but the Arrow SPM team appeared the least troubled. From third fastest in Friday morning practice, Hinchcliffe went fastest in second practice, and remained top in the Saturday morning session. Ericsson was still learning the track – like all rookies, he really didn’t need the unique tire situation! – but was edging closer to Hinchcliffe’s pace. Unfortunately during third practice, dust and debris on the exit of Turn 1 caused Marcus to understeer into the barrier at Turn 2, and gave the team some work to do before qualifying. But it didn’t dent the Swede’s confidence, and he responded well. Come qualifying, with everyone having received Firestone’s 2019 ‘red’ tires, he was within 0.15sec of James’ best effort in Q1. 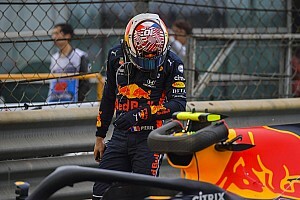 However, he did not transfer and would start the race from 20th on the grid. Marcus Ericsson, Arrow Schmidt Peterson Motorsports Honda, Barber Motorsports Park, Birmingham, AL. 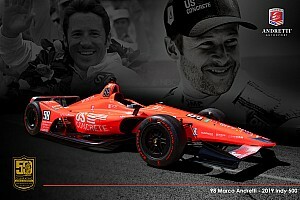 Hinchcliffe did move on, however, and topped Q2 thereby reflecting the pace he had shown throughout the weekend. In the Firestone Fast Six shootout for pole, a slightly wide line exiting Turn 17 at the start of his best qualifying lap saw the #5 Arrow SPM-Honda pick up dirt on its right-side tires, hurting turn-in speed into the very fast Turn 1. 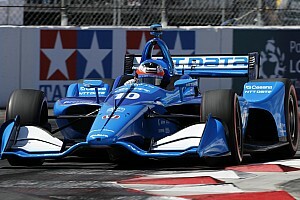 But the Canadian star’s pace elsewhere around the sinewy course was exemplary and he was still able to grab fourth spot on the grid, even though his fractional error he believed cost him a shot at pole position, such is the tightness of competition in IndyCar. 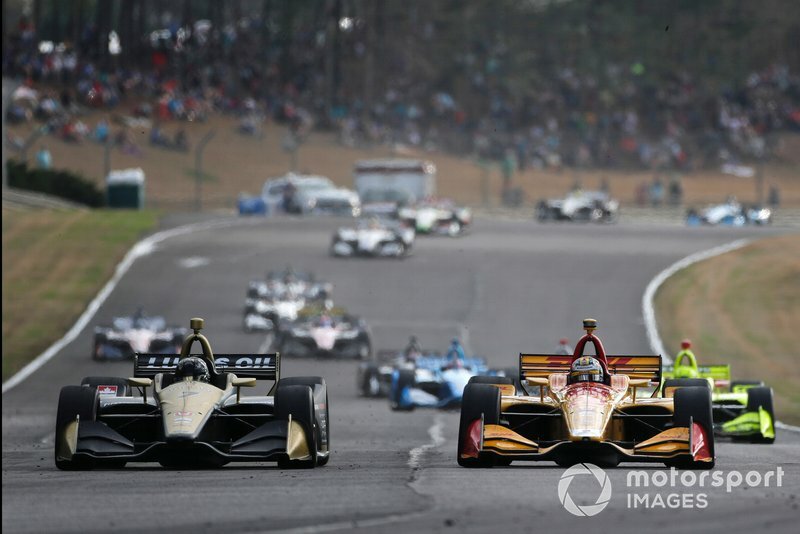 From the start of the race, Hinchcliffe held onto fourth, closely tracking five-time series champion Scott Dixon, and staving off attacks from the ever-aggressive Alexander Rossi. James was able to eke out his fuel a lap longer than Dixon in the first two stints, and planned to do the same at the end of the third. Once the car ahead has pitted, if the following driver can slam in an ultra-quick lap at the end of a stint with a clear track ahead and on a light fuel-load, he will often ‘jump’ the car he had been pursuing, as that driver is carrying the extra weight of a full tank of fuel and is still trying to get his tires up to temperature. But Hinch’s best laid plans came to naught when one car broke down and another almost simultaneously crashed. IndyCar’s race director allowed everyone the chance to hit pitlane before closing it and throwing the full-course caution, but it meant that all the principal players in the race pitted on the same lap. 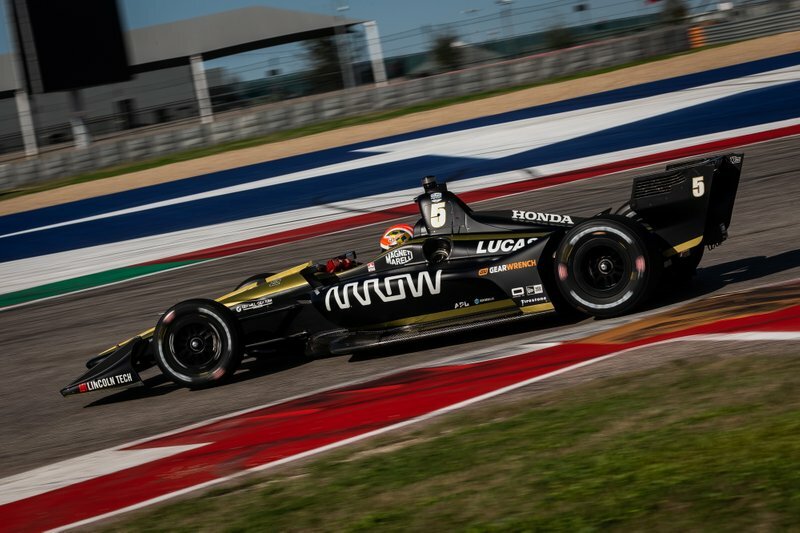 The decision to run used black primary tires in the final stint made sense – the #5 Arrow SPM car had been fast on them all weekend – but it left Hinch vulnerable to attack following the restart. Thus Rossi (new primaries) and Josef Newgarden (new alternates) were able to pass him. Nonetheless, he scored a solid sixth place finish, still chasing hard after Newgarden and Rossi. “Obviously with the pace we had all weekend, sixth is a bit of a disappointment,” he commented afterward. “The Arrow car had a solid podium going there until that yellow caught us off guard. We were all over Dixon’s gearbox. In that third stint, we were quite a bit quicker, just couldn’t get past. Hinchcliffe leads Rossi and Bourdais in the first stint. “We were looking to make a move during that cycle, but that restart just threw us for a loop. We had a little bit too much understeer in the car in that last stint. We had a good long-run car, but we weren’t the quickest getting up to speed. I don’t think our out-laps were great, and the first lap or so on the restart, we weren’t awesome. However, differing perspectives are always fascinating and Hinchcliffe’s teammate Ericsson, who finished seventh, was left thrilled by the race. He had made up 13 places on his grid position, pulled off 11 passes on track, and was exhilarated to once again prove his race pace. He told Motorsport.com: “I just need to sort out qualifying because I’m still on a little bit of a learning curve with Firestone’s red [alternate compound] tires, and you only use them on race weekends, not testing. They make a significant difference, and I suppose I’m used to the Pirellis from Formula 1. Ericsson dueling with Hunter-Reay, as he did at COTA. 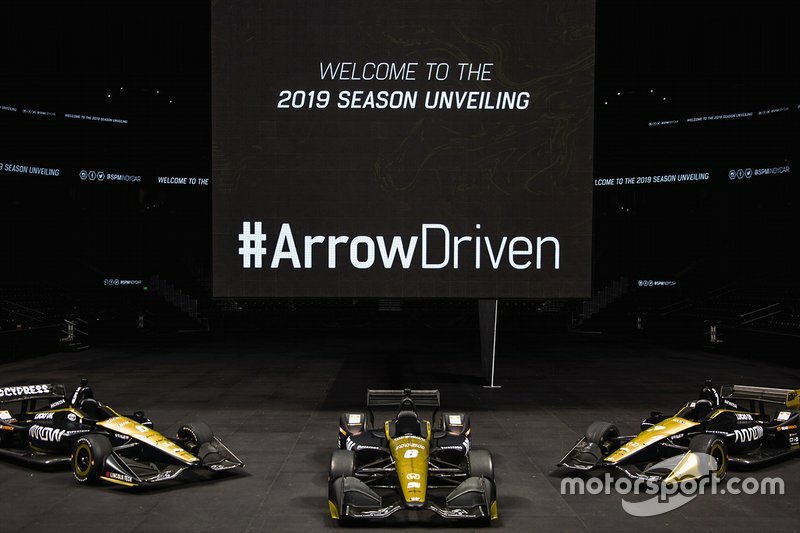 This time around, the Arrow SPM driver prevailed, beating the 2012 IndyCar champ by 1.5sec. "Obviously the field is so tight in IndyCar, and you can’t afford to give anything away, but I’m getting closer – I was just one-and-a-half tenths of a second from transferring to Q2. “But the race was fantastic! All three races have been good – I was top eight in St. Pete when I got the radiator damage, I was top five in COTA when we had the penalty for the pitlane problem, and today was great fun. People had said you can’t overtake here, but we went from 20th to seventh. 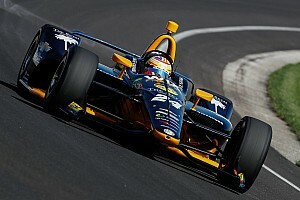 “We made some good passes on top guys – Will Power, [Ryan] Hunter-Reay, Newgarden – and had some excellent battles. 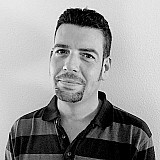 It shows we can really mix it up with the best guys; we just need to qualify a bit higher. “I’ve got to say, I think the team did a really good job with tire strategy to make the plan to run reds twice. We started on used blacks but they pitted me really early [Lap 7], got me out into clean air on a new set of reds, and we were just flying. By the time everyone had made their second stop, we were into the top 10, and even on used reds for the third stint, I was passing people, catching them by surprise.